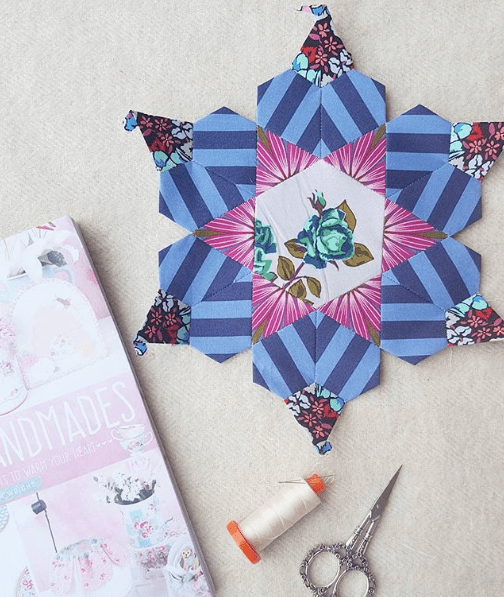 Final Round Up of the Pretty Handmades Book Showcase! Can it really be an entire month since the Book Showcase began? And even the first week of October has flown by! I’m sorry for the delay in my final post for the tour, but I’ve had some unexpected challenges with my ancient Mac. But we’re back in business this week so I’m thrilled to be able to share some gorgeous creations from these amazing makers! 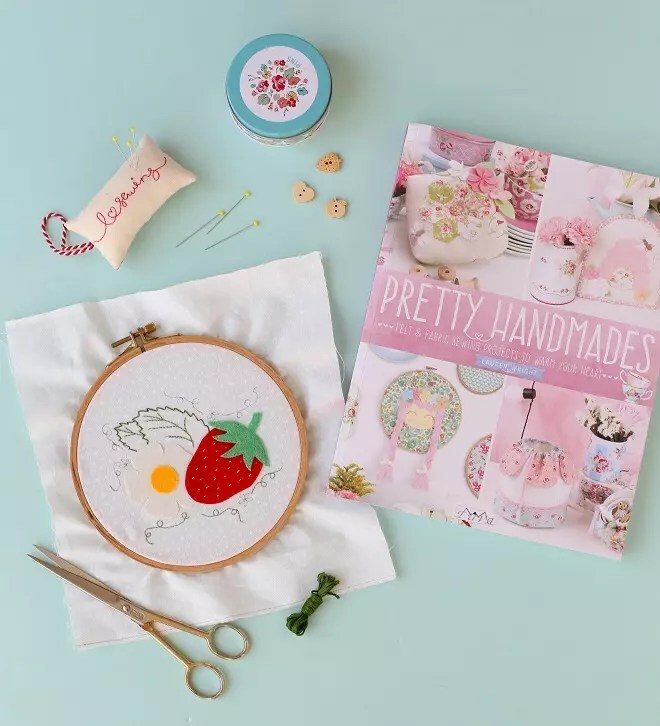 My book released on many online bookstore websites during the month of September, but October 1st marked the official launch date of Pretty Handmades: Felt and Fabric Sewing Projects to Warm Your Heart on Amazon. And suddenly, being an ‘author’ is all very real! It’s thrilling, exciting and such a dream come true. And I won’t lie… it’s very fulfilling to see all of my hard work come together in such an amazing way. And I couldn’t have done it without the help of all of these talented bloggers, and without your support too! 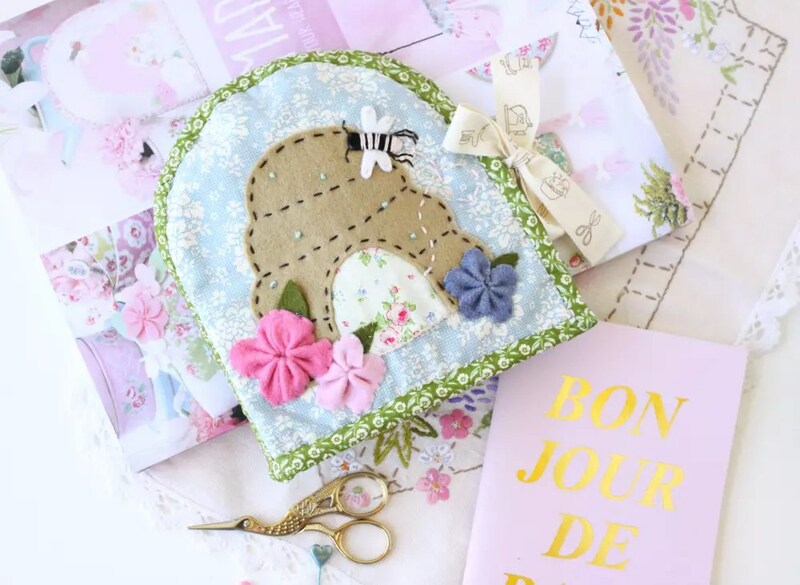 Wynn from ZakkaArt made five different projects from Pretty Handmades! I love that she used the templates in the book to create new and different pieces. 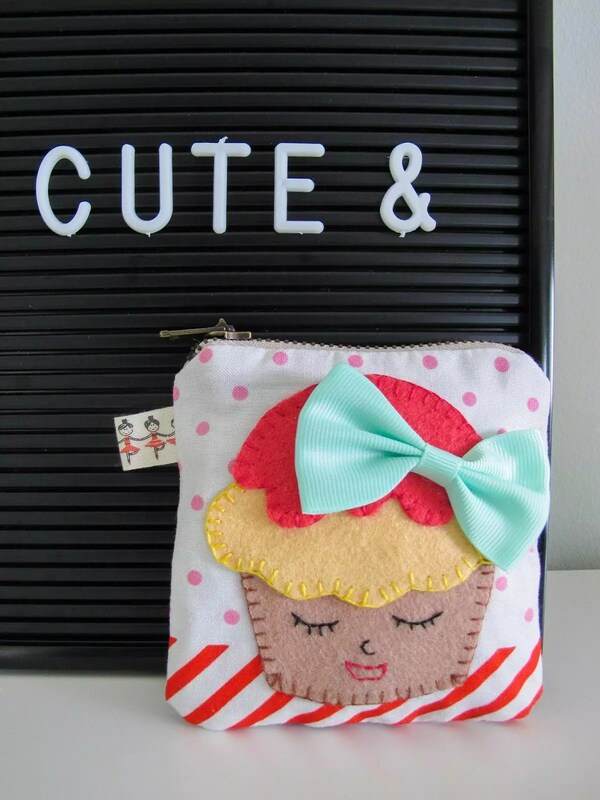 This cupcake template came from the Tea Party Tea Towel project, but she appliqued it onto a pouch instead. And she’s never worked with felt before!!!! Isn’t it gorgeous? 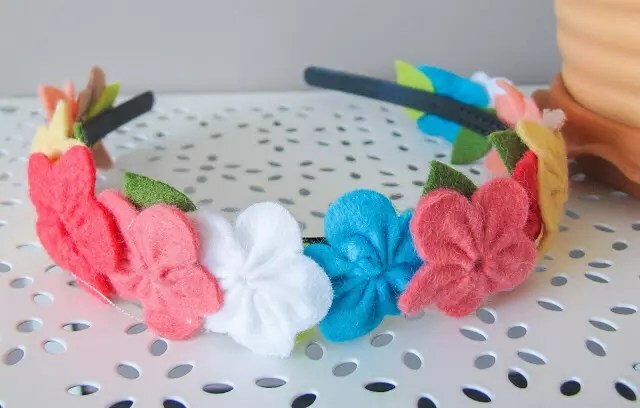 She also helped her daughter make this headband using flowers from the Busy Bee Pincushion templates. It thrills me to think that the next generation of makers are learning new skills and having lots of fun too! 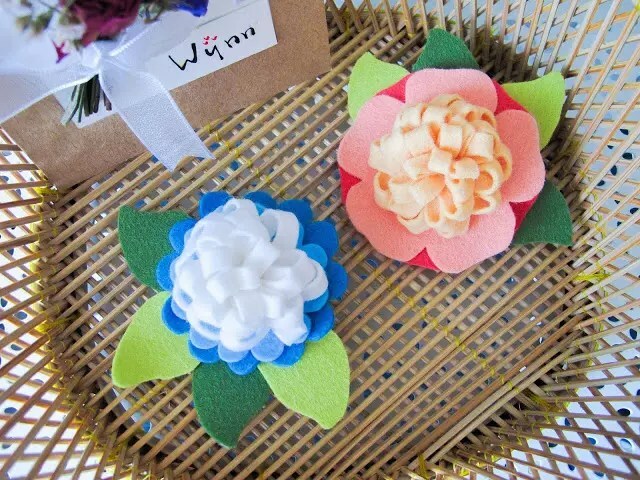 Wynn’s daughter requested two more hair accessories, one from the Blossom Scissor Charm pattern and one using the Flower Friends petal template. So lovely! 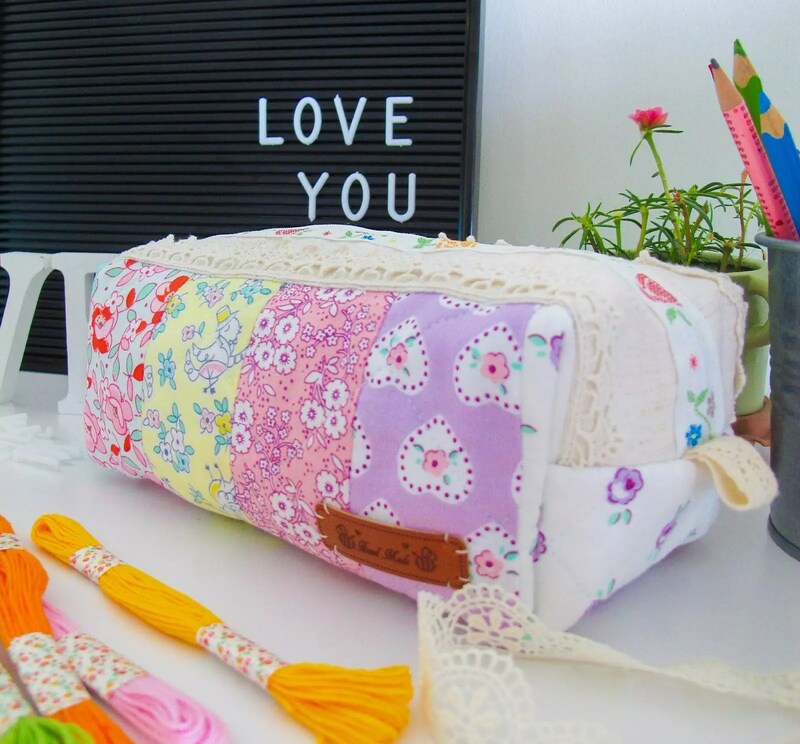 And lastly, Wynn whipped up the Posie Patchwork Pouch. I love the zip she used so much. I have never seen anything like it! 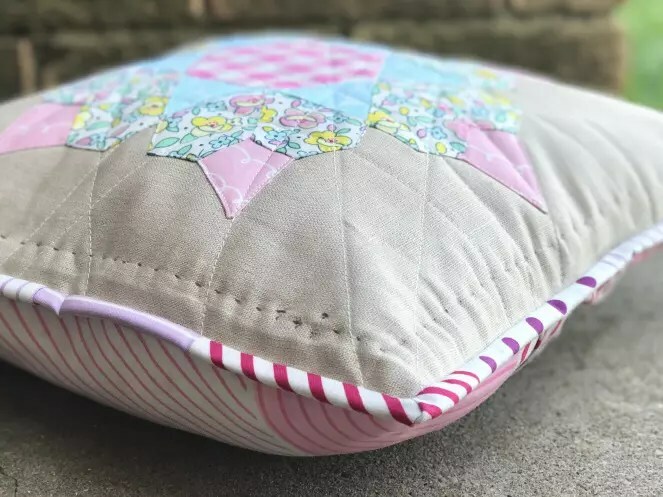 Veronica from Vivid Felicity admits to facing a few challenges when machine sewing this Bloom Cushion Cover, instead of using the traditional English paper piecing method. But all I see is a sunny and fun piece, that brings a smile to my face. I love the fabrics she chose and the way she combined them in the design. Just darling! Minki Kim is best known for her Sewing Illustration. You might also know her as Zeriano on instagram. 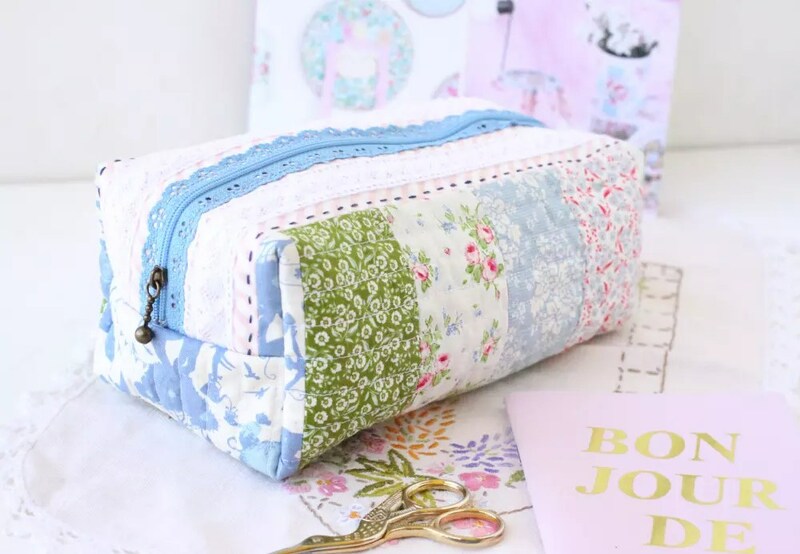 Her version of the Posie Patchwork Pouch is superb, especially as she used her very own fabric range. 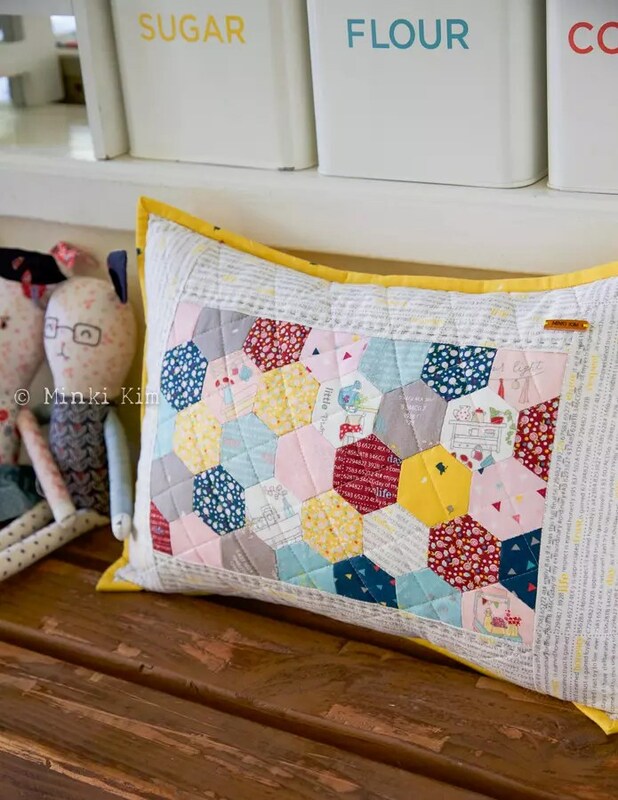 Then she made the Garden Path Mini Quilt as a cushion. Perfection, right? Elise decided to make two projects too! 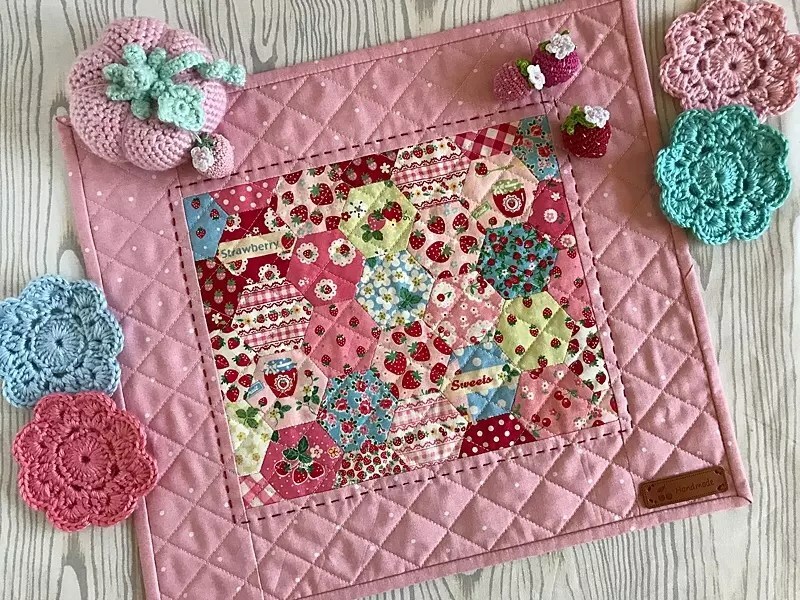 I love the story behind this strawberry version of the Garden Path Mini Quilt. It’s delicious! Make sure you head to her blog Elise & Emelie to read more. And check out what she did with the Sweet Dreams Sleeping Bag. It’s perfectly sized to fit her crochet bunny. But she originally modified it to become a pot holder. I hadn’t even thought of that option. What a brilliant idea. Megan from Dolly Henry created the most darling projects for her stop on the tour. The Honey Hive Stitchy Kit never looked so sweet! 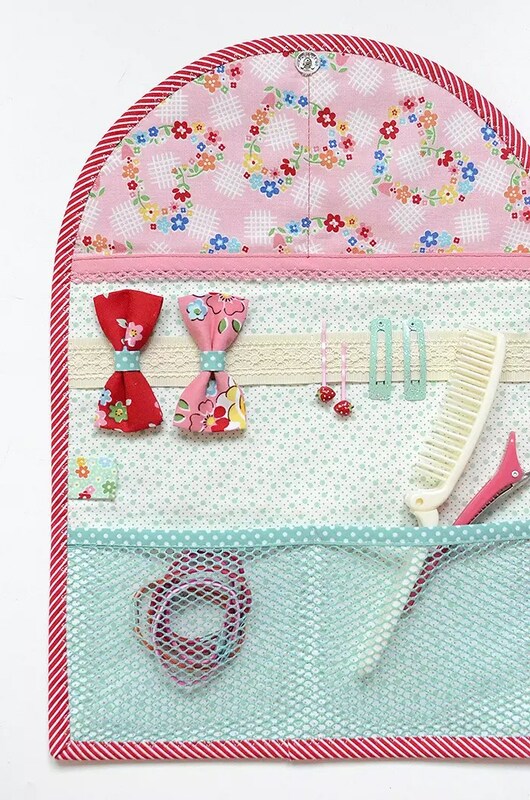 And the Posie Patchwork Pouch matches it perfectly. What a great combo for sewing supplies! Nadra from Ellis & Higgs loves her hair accessories. 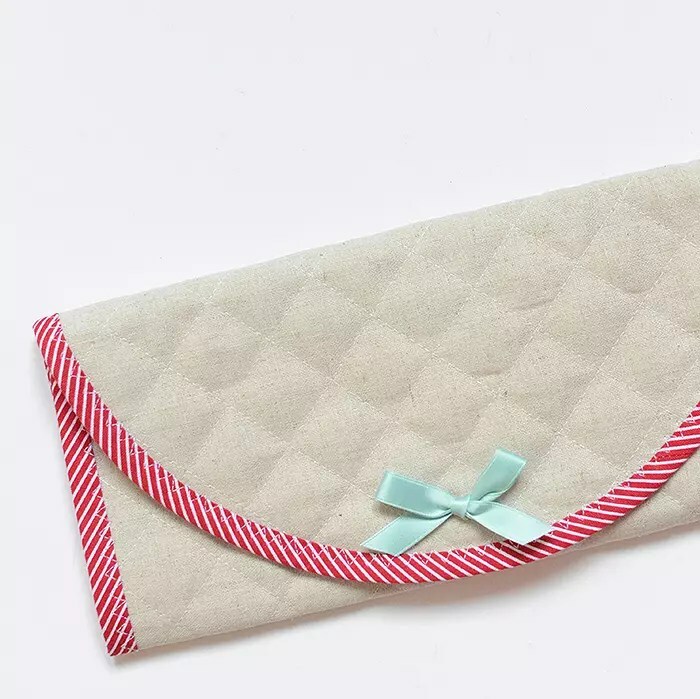 So the Ribbons and Bows Travel Clutch was the perfect choice! The simplicity of the outside is so appealing. But the inside showcases Nadra’s own fabric range, Arbor Blossom, so beautifully. I love the addition of the mesh too. Ayda from Cafenohut is also a fellow Tuva author. 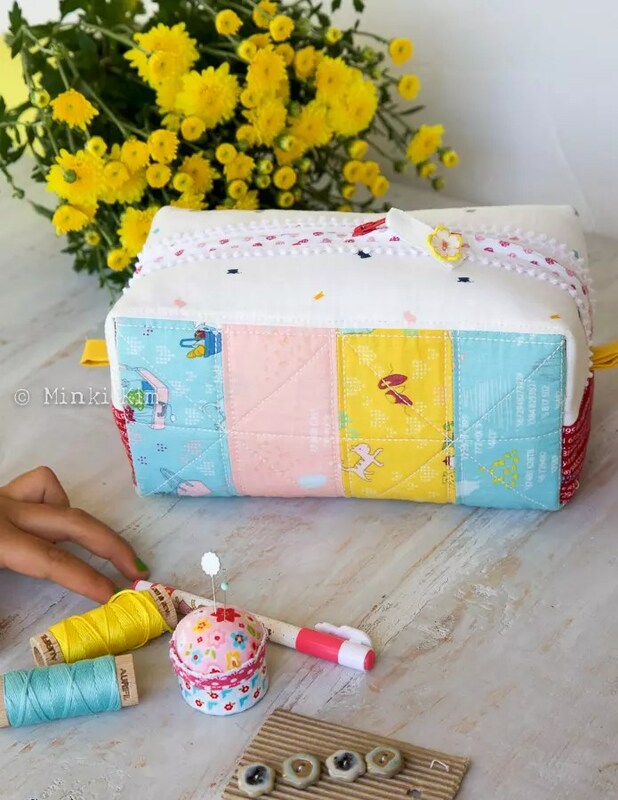 I just loved sewing a sweet hoop art project from her book Made For Baby: Cute Sewn Gifts . You can read more about it here. 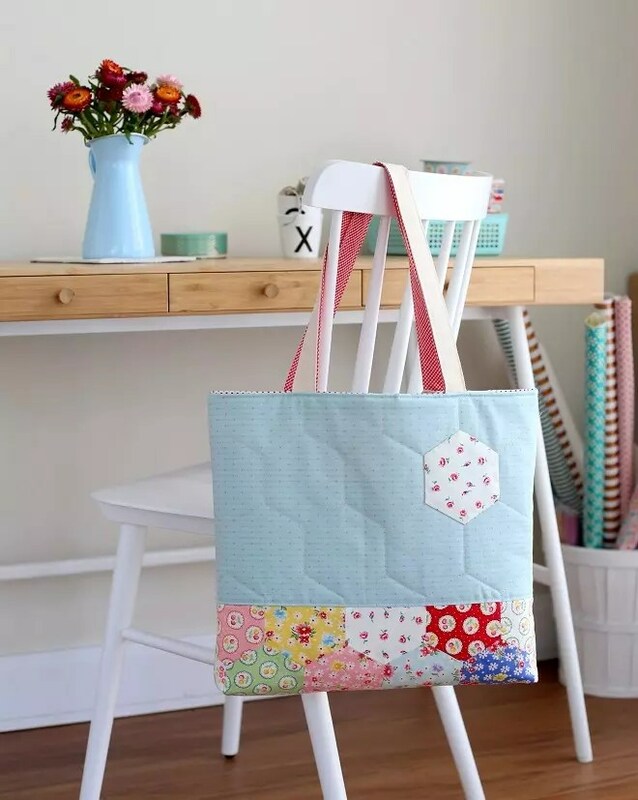 For this tour, Ayda made the Quilted Carry All which is just perfect for hexie lovers! She also started work on the embroidery from the Strawberry Surprise Journal Cover. I can’t wait to see what this becomes! 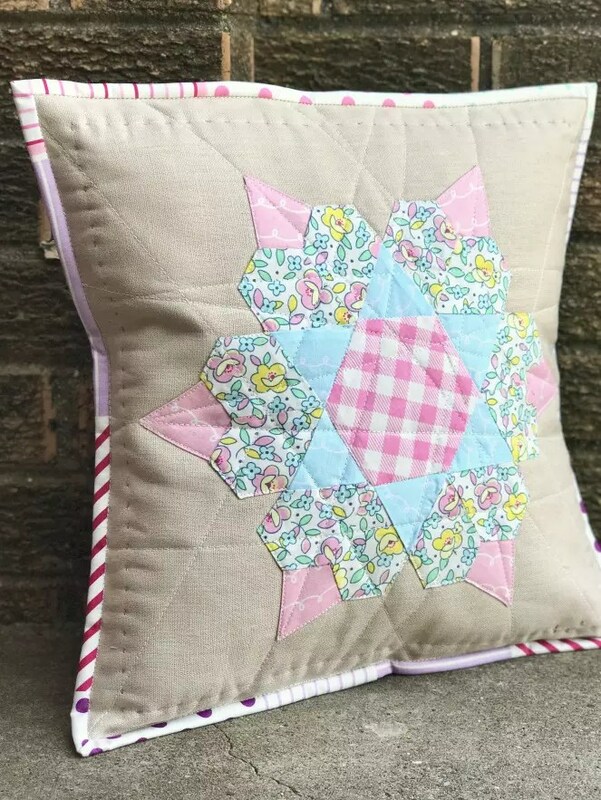 Jodi from Tales of Cloth has started working on the block from the Bloom Cushion Cover and I can’t wait to see what she does with it. She’s shared it on Instagram. The Book Showcase bloggers have been so generous with their time and resources. I am so grateful for their help!!! Please visit your favourites and perhaps a few new names too! You can learn more about their work, what they love, and how they create their beautiful pieces. Thanks so much for being a special part of the Molly and Mama journey! I sincerely hope you’ve enjoyed the showcase, and have also enjoyed learning more about some of the projects in Pretty Handmades. As a way of saying thank you to all of my lovely supporters, I will be hosting a giveaway very soon. There’ll be a signed copy of the book available and some other lovely goodies too. So stay tuned. And in the mean time, have fun sewing! Thank you Bekki! It’s been fun! 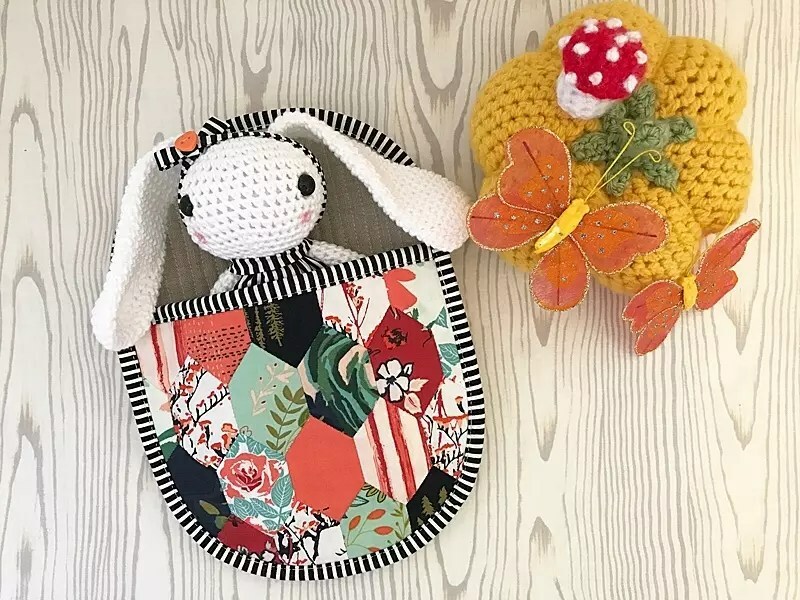 The items made in this blog hop have been just adorable! Haven’t they Kathleen? So lovely! Thanks for following along. Yesterday, the book finally came to me. It’s great, well-done tutorials, magical projects! I’m looking forward to the first project I’m going to make of it. Thank you Molly for a wonderful book. These are such beautiful project! 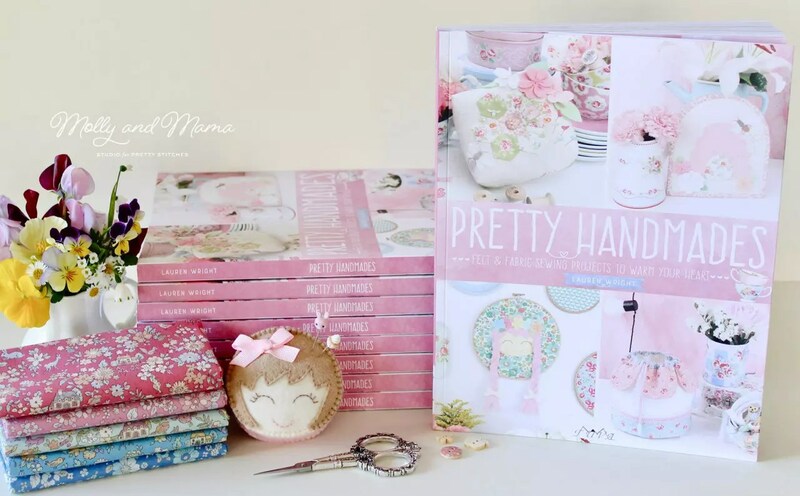 I was wondering, for the creations in your book Pretty Handmades, do I need the sewing machine?